If you have always wanted a dreamy fairytale like wedding, our list of the best wedding decorators in Jaipur can help do just that! 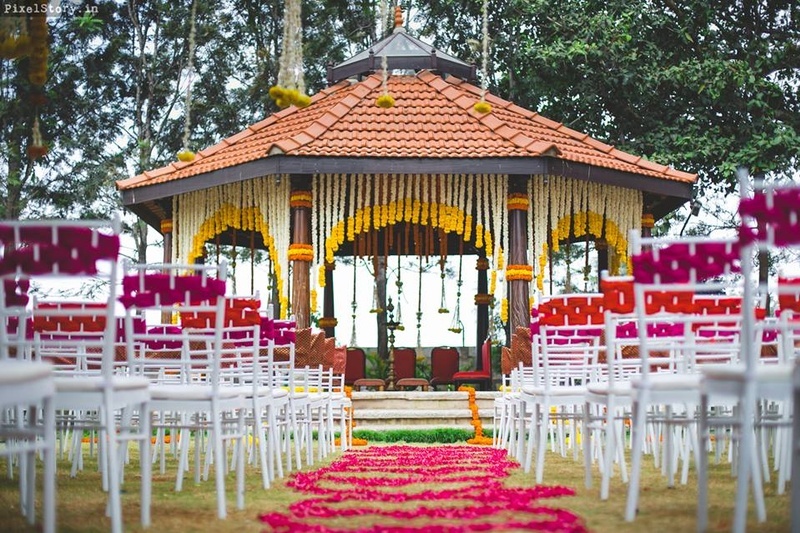 These talented decorators know how to make your wedding venue look every bit stunning. With their tips and ideas, you will be able to set up a space that is both inviting and romantic. The team of professionals can also execute any theme or decor ideas that you may have in mind! Scroll on to find out more about this talented bunch of wedding decorators in Jaipur! From traditional set ups to contemporary decor ideas – the team at Prakash Tent House can do it all. The team stays abreast of latest trends and can do a wonderful job when it comes to outdoor weddings especially with tents and canopies. They choose gorgeous lighting for the occasion and light up the space in style. One of the best decorators in Jaipur, K K Decor can make your dream wedding come true. They can set up any space for every occasion – from pre-wedding to wedding ceremonies. The team is up to date with the latest trends and can implement any special themes or colour schemes that you may have planned. Prashant Flower Decorator can bring alive any space with their gorgeous floral arrangements. They specialize in pre wedding ceremonies like sangeet and mehendi where the entire decor is centred on flowers. They can also lend classic finishing touches to wedding venues with their stunning range of exotic flowers. When you are getting married in Jaipur, do check out the work of Satkar Tent Decorators. From setting up extravagant outdoor canopies to lending finishing touches with flowers – they specialize in everything. They can set up a gorgeous entrance and stage and make the venue every bit click-worthy. Get married in style and make the day every bit memorable by having Satkar Tent Decorators set up the place. Golden Flower Decorators can set up a refreshing wedding venue for your special day. They use an assortment of flowers for your special day and transform the venue into a magical one which makes for the perfect backdrop for your big moment. Also take a look at the best wedding caterers in Jaipur for your big day. Here is where you should go in Jaipur for bridal lehengas. Browse through the Jaipur wedding vendors for other services.